Take this opportunity to deliver messages to your dental patients! Email marketing is a great tool for your dental practice to stay connected to your client base. Email campaigns are helpful for your dental practice as they give you the opportunity to deliver targeted messages to an already captivated audience. The people on your mailing list need to agree to receive these messages from you, meaning they want to hear what you have to say! Informational emails allow you to keep your clients informed about any new, relevant or interesting information happening within your dental practice. 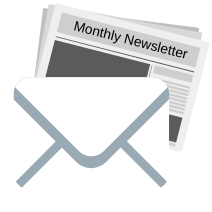 Newsletters are a primary example of informational emails. Emails provide you with a great platform to give your dental clients information on a regular basis (weekly, bi-weekly or monthly). Sharing captivating and enticing content in your emails helps to build up your relationship with your clients. These email campaigns also work as a bridge between your clients, your website, your social media platforms and your dental practice by providing a link and a reason to visit. Keeping your clients informed helps to strengthen the bond you have with them and keeps your dental practice top of mind, leading to a better relationship between your clients and your practice. Transactional emails offer you, as a dentist, a platform to inform your dental patients of any promotions or specials happening at your dental practice. 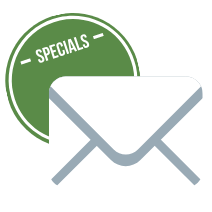 These emails work well to drive sales because they allow you to showcase a product or service you offer, educate them on all of the benefits, connect them with a way to make a purchase, or book an appointment. Transactional emails can lead to an increase in engagement, conversion, and ultimately, brand awareness. Use both types to optimize your dental client base! Both types of emails, informational and transactional, work to strengthen the bond between your clients and your dental practice leading to a deeper level of trust. They allow your dental practice to provide relevant and interesting pieces of information to your patients, as well as offer incentives they may be interested in. Email campaigns can also lead to higher website visits and social media interactions by providing a pathway from the clients to those different platforms. For each email marketing campaign that is created, strategies will be implemented, that will quickly benefit your dental practice and improve your Return on Investment. Email marketing is also great as it is very easy to measure, allowing us insight into what is working and what might need to be changed to ensure better results. For more information on our Email Marketing services for dental practices, fill out our form below or send us an email.